It's been about 8 months since I moved to Connecticut, and I live in the Greater New York Metropolitan Area. Which means that I have great access to the city by train and have visited quite a few times now. I've written before about why I don't love New York City but it's definitely grown on me now that I've adjusted a little more. Being able to come in for the day is much nicer, I find New York very overwhelming at times so it's been great to be able to take multiple, short trips. Now that I've gotten more familiar with the city, I want to start sharing some guides to NY. Starting with this: my favourites. These are by no means original. If you're looking for a post about secret insider things to do in NYC, this is not the post for you. But these are the top things that I would do if I could only do 10 things in the city. Some of these are really famous, some not so much but all of them bring out the side of NYC that I love. The High Line is an old abandoned overhead railroad that used to run through midtown Manhattan. It was bought over and turned into a public park. You can now walk along it for some fantastic views of the city. It has a very relaxed atmosphere and feels a bit less rushed and busy than the city streets. Plus the south exit is close to the Chelsea Market which makes it a perfect place to buy lunch after a walk. The line is 1.5 miles in length so can be done pretty quickly but there's several entrances and exits if you don't want to walk the whole thing. Walking the Brooklyn Bridge on a clear day is a definite must. The views of Manhattan are beautiful and the breeze is so cooling if it's a hot day. There are also little stalls on the way up that sell the cheapest NYC souvenirs I've seen yet. Personally, I think it's best to walk from the Brooklyn side to the Manhattan side but have also walked halfway from Manhattan and turned back a few times. Although please be aware that there is a designated cycle lane on the bridge. I always see people walking in it and it's really annoying! 3. Top of the Rock. New York is not short of observation decks but personally, Top of the Rock is my favourite. I've also been up the Empire State Building which I found to be a little too crowded. The view from Top of the Rock is much better and you get a fantastic view of the Empire State. It's such an intrinsic part of the NYC skyline so I'd much rather go somewhere I can see it, rather than up it. It's very bright and open and just feels so much less crowded. It's probably one of the most expensive attractions in New York, but one that I really recommend. Smorgasburg is a street food market that operates in Williamsburg on Saturdays and Prospect Park on Sundays during the summer. An indoor version is open during the winter, but the summer market is what I really love. With a tonne of fantastic vendors from restaurants all over New York, this is the best place to try some of the tastiest food in the city. It's not cheap, but cheaper than a meal out at a restaurant. I'd say budget $10 for a meal and a drink. I've had the best tacos of my life at Smorgasburg and their other offerings range from hoisin bao to purple sweet potato ice cream. If you visit the Prospect Park location, you're also right next to the Brooklyn Botanical Gardens too. 5. Walking around the West Village. The West Village is by far my favourite part of New York. I love just walking around there and soaking up the Atmosphere. With beautiful brownstones and lots of lovely independent stores, it's a great spot for a wander. You can also see Carrie Bradshaw's house and the Friends apartment whilst you're there. And on a hot summers day, you can head on over to Cones on Bleeker Street for some of the best gelato/sorbet. New York is a fantastic city to see some live comedy in. There are several comedy clubs all over the city. Most of them are 21+ and have a two drink minimum which can end up being a little pricey. But it's definitely worth the money in my options. Grab some friends, get a bit tipsy and unwind with some good jokes. The most popular is probably the Comedy Cellar but Stand Up NY in the Upper West Side is near some great, cheaper bars. If you're looking for a great place to have a drink with a view, I can't recommend the 230 Rooftop Bar enough. Located near the Empire State Building it's got a great view. The drinks aren't cheap but they aren't extravagant and I'd say they're worth it for the view. They also have happy hours. During the winter, they have plastic igloos and heaters so don't let that put you off visiting! If you've considered Top of the Rock but don't want to part with the money, consider heading here for a drink instead. Ah. 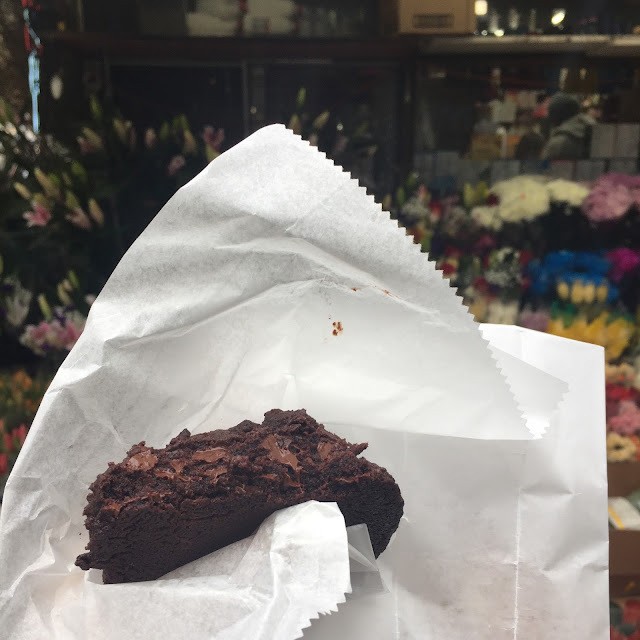 Whenever you ask a New Yorker about the best dessert in the city, they mention the Levain Bakery. This place is famous for its award-winning, chunky cookies. Served still warm and melted in the middle. My favourite is the double chocolate but the chocolate peanut butter ones are well loved too. The main bakery is on the upper west wide near my next two items so you can combine a few in one. There will be a line but it will move fast and trust me, these are worth the wait. 9. The Natural History Museum. I have to admit. I'm not a super big museum person. I enjoy them, but it needs to be something I'm really interested in. That being said, I could spend all day in the Natural History Museum. The exhibits are a bit dated but it's dark, cool and the perfect sanctuary from the NYC summer heat. It's also a great place to take kids. I learn something new every time. My favourite is the dinosaur exhibits. I'm also always reminded of when Holden Caulfield visits in The Catcher In The Rye. Basic? Heck yeah. And finally, what's a visit to New York without a visit to Central Park? Walking around feels like you're in a movie because there are so many spots you'll recognise, even if you've never been there before. Whenever I show someone around I like to start in the southeast corner, move up and around the lake and then back down on the southwest corner. I really need to explore the north of the part more. And one day I will make it onto one of those rowboats! I hope this post has given you some inspiration for any up and coming trips. But if you have any other recommendations, please feel free to drop them in the comments.